NEW! Stackbin Workstation Designer Tool. 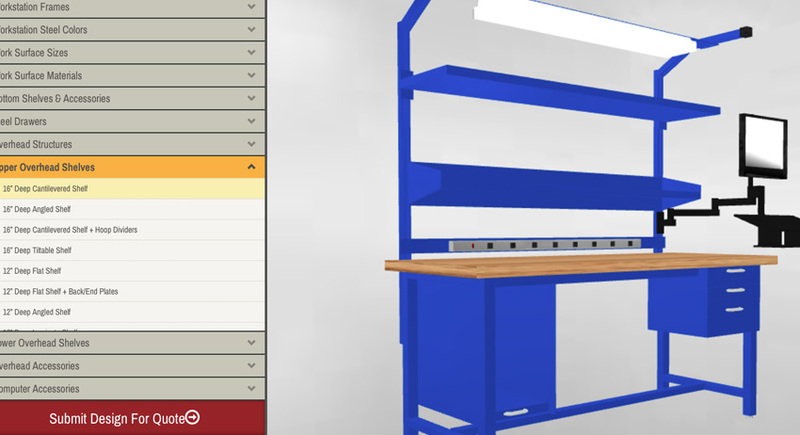 Now you can design the perfect workspace for your application with our new Workstation Designer, try it now! A newer product line for Stackbin, we've been building these for some time now. 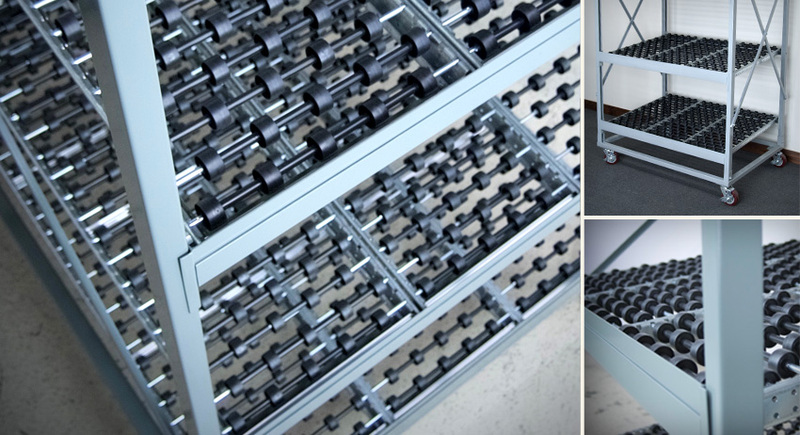 We have various depths and shelf configurations available with poly skate-wheel flow shelves, 'pencil' style rollers and flat or angled steel shelves. 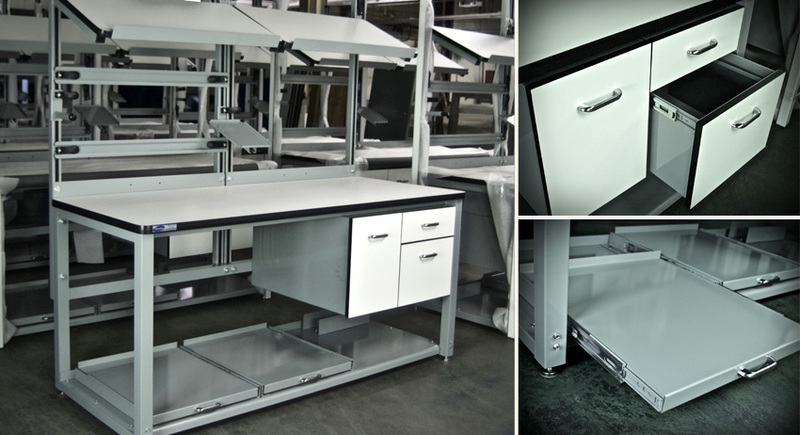 Choose from our selection of pre-engineered Packing & Shipping Workstations, or configure your own with our extensive line of workbench accessories. 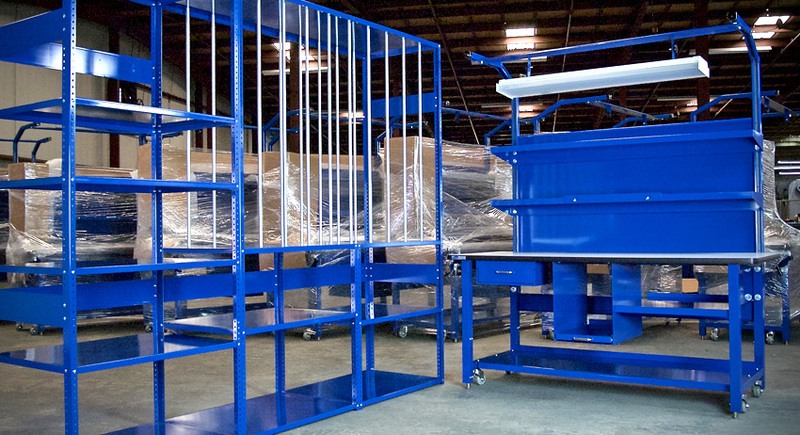 We offer a wide array of steel sectional Stackbin® storage systems in varying sizes and different bases styles to best suit your need. 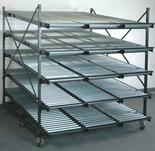 Systems can be configured using all the same size bins, or with mixed size bins that simply stack together. 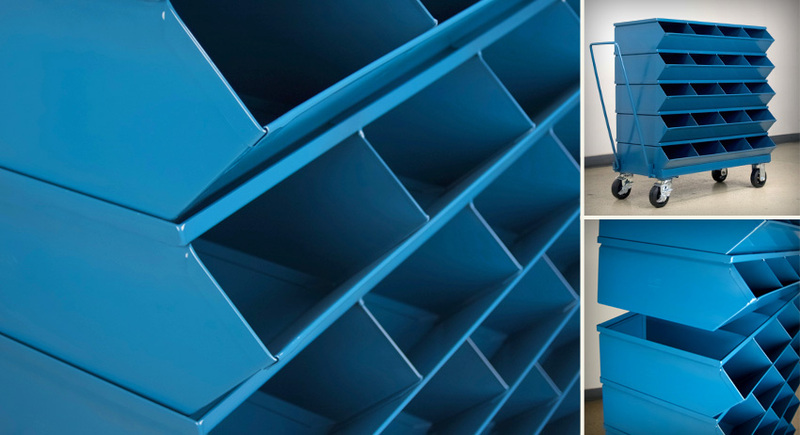 60" x 18" Sorter Units are a great way to store and organize just about anything that will fit inside the adjustable compartments. 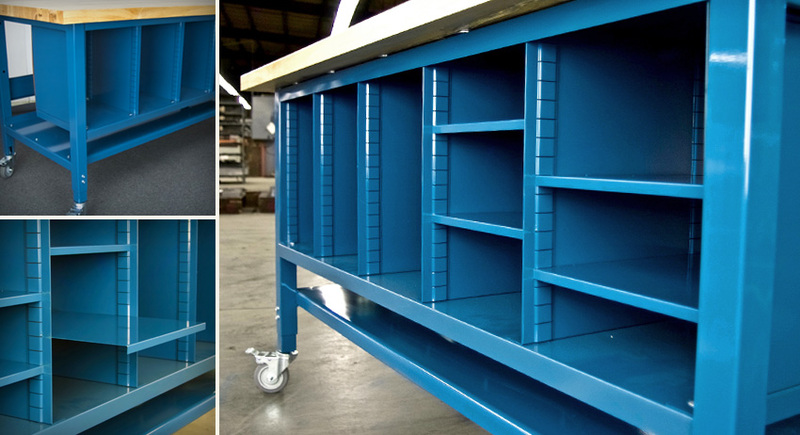 Shelves can be reconfigured in 1" increments and the unit can be mounted under a workbench top, above the top with one of our overhead structures or they can be wall mounted.